The great thing with these keto egg wraps (apart from being almost zero carbs) is that you can flavour them any way you want. Add some dried rosemary, chopped chives, mint, etc. Just take a look at how easy these are. Why not make a few at a time. Keto egg wraps can be filled when hot or cold. Sprinkle some grated/shredded cheese while they are still hot and the cheese will melt into the wrap. My favourite would be adding dill to the wrap, then when the wrap is cold, spreading cream cheese over it and adding slices of smoked salmon before rolling up. If the keto egg wraps are going into a lunchbox, make sure they are completely cold first, as there is nothing worse than a soggy, damp, keto egg wrap! 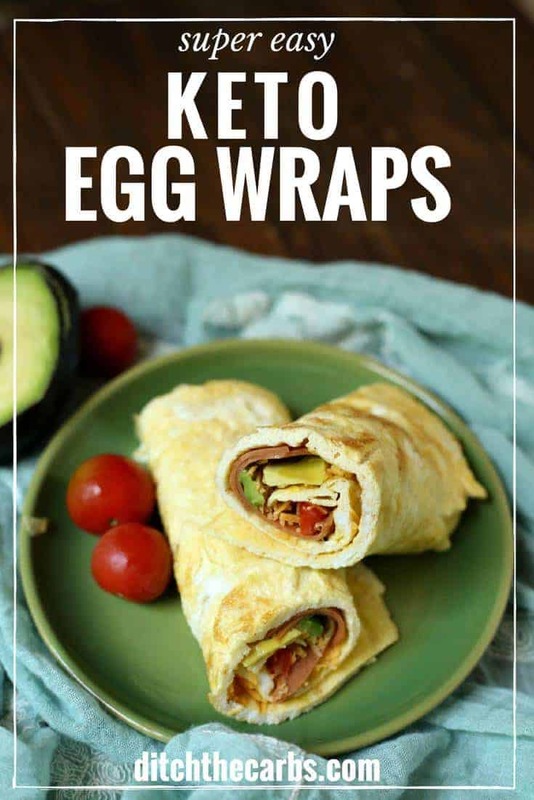 Keto egg wraps can also be stacked on top of each other with fillings in between, then sliced like a pie. The possibilities are endless. Leave a comment below telling me what you would add to the keto egg wrap and what filling you would use. Why not add some herbs and spices such as chilli or rosemary to the egg wraps before they are cooked? Heat some coconut oil (or butter) in a frying pan. Pour the egg mixture into the frying pan and rotate the pan to let the egg spread out into a thin layer. The thinner the better when using eggs as wraps. Place your favourite filling inside and roll up. Just made these for first time had them with smoked salmon cream cheese & mashed avocado & cucumber filling they were delicious light lunch and bonus the hubby loved them too! Ideas fofillings are endless! Felt like I was eating a sandwich wrap and I’ve not touched bread for 7 months! Thank you Libby great idea! All I can think of is how good these would be filled with roast duck, spring onions & cucumber. Drizzled with LC hoisin sauce. I like to add cinnamon and a bit of Splenda to the egg mixture, then some sweetened cream cheese and a few berries down the middle. Makes breakfast taste like dessert! Must be heavenly with shrimp meat… crab meat… pulled pork… actually, come to think of it, I have a hard time thinking what they WOULDN’T be heavenly with! I add about 1-2 tsp of psyllium powder to this and it makes a great crepe. I was just thinking about whether or not they would hold form, that’s a great idea!! 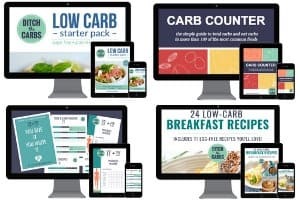 How many calories per wrap? i use 2 eggs as i have a large pan. i put some chopped spinach and cream cheese bits in it before rolling it up. next time im frying up sum onions and garlic to throw in there too. soooo good. Yes. They can be made in the evening, then kept in the fridge. I would cover them so they don’t dry out in the fridge. I haven’t tried as I like to make them fresh. If you do freeze them, I would put sheets of baking paper in between each wrap so they don’t stick together once defrosted. Ripeka123 have you tried to freeze them yet? Did it work? They will work frozen. You can pull out of freezer, pack in lunch box and they will be thawed by lunch/snack time! A quick zap or a moment in the toaster oven will warm them nicely.